Apple iPod touch 5th Generation (Late 2012) Pink (32GB). iPod & Third party USB AND EARPHONES. This item has minor wear, minor scratches, minor scuff marks, however it has been tried and tested and is fully functional and working perfectly. Yellow Ipod Touch (5th Generation) with 32GB of storage. Small crack included towards the bottom of the screen, however this does not affect performance. This iPod doesn't include its original box. Refurbished iPod in Good condition. You're getting a great device at a great price! USB Charging cable. Fully Functional Apple IPod Touch 32gb 5th Generation . Screen & Casing in unmarked condition . New Battery needs to be installed and it will be as good as new . Free Skech Hard Rubber Case included in the sale . Apple iPod touch (5th Gen.) 32GB MP4 Player - Pink (Q3 2012). Dispatched with Royal Mail 2nd Class. Very good condition. In really nice ipod, you can take selfies do facetime, watch youtube,download favourite apps and music videos, just selling ipod alone no charger,however it uses the same charger as iphones,ipod has been reset ready for new owner. Condition is Used. Working no problems. It's an amazon basics one so I'll send it on with the ipod. Condition is Used. Screen in good condition. Minor Scratches on screen. Condition is Used. 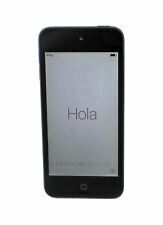 A ny ot her qu es tionp lease as k.
Apple iPod Touch 5th Generation Blue (12 GB). It is in perfect working order. There are two bashed edges - only slight and they don't impact on the use and are not visible with the case on but I would like to point them out and have included photos. Apple MD720BT/A iPod touch 5th Generation 32GB 4 inch - Silver. Condition is Used. Works perfectly fine, doesn’t come with anything except the iPod itself just as shown in photos. Dispatched with Royal Mail 1st Class. For Sale: iPod Touch 5th Generation 32GB. The iPod is a 32GB model and works fine other than which is stated and holds its battery well! So grab yourself a bargain! This may include dents/scratches/finish wearing off. 4.5 out of 5 stars - Apple iPod touch 5th Generation Blue (32GB) - Good Condition! Fast Del! Boxed! 61 product ratings61 product ratings - Apple iPod touch 5th Generation Blue (32GB) - Good Condition! Fast Del! Boxed! 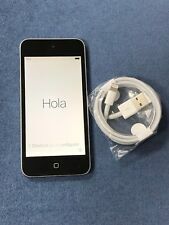 Ipod touch 5th generation 16GB (silver). Superb condition - hardly used. Includes charging cable and headphones. Also dynamic liquid glitter quicksand silicone case. Dispatched with Royal Mail 1st Class. 16GB wear on back - screen very good. Apple iPod touch 5th Generation (Late 2012) Yellow (32GB). Condition is Used. Dispatched with Royal Mail 1st Class. Pink iPod Touch 5th Generation 16GB. Used but in excellent condition. Restored to factory settings. Comes with silicone case and unused Apple USB charger and plug. Posted with Royal Mail signed for 2nd Class. 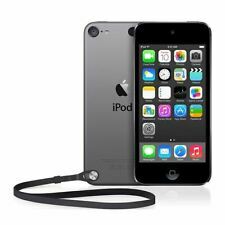 Apple iPod (A1421) Touch 5th Generation 16GB - Black/Silver. Condition is used but in excellent condition as seen in pictures. Apple Pod touch 5th Generation (Late 2012) Yellow (64GB). does have screen burn round edge of screen but in good working conditon. This iPod is in very nice condition. It was kept in a rubber case and has very little wear on it at all. The device may have been opened & so can not be considered splash proof in any way. The warranty does not apply in the following circumstances. 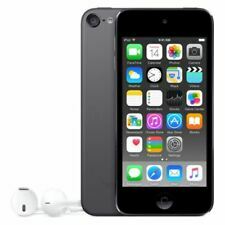 Apple iPod touch 5th Generation Space Grey (64GB). Condition is Used, but in normal working order. Dispatched with Royal Mail 1st Class.